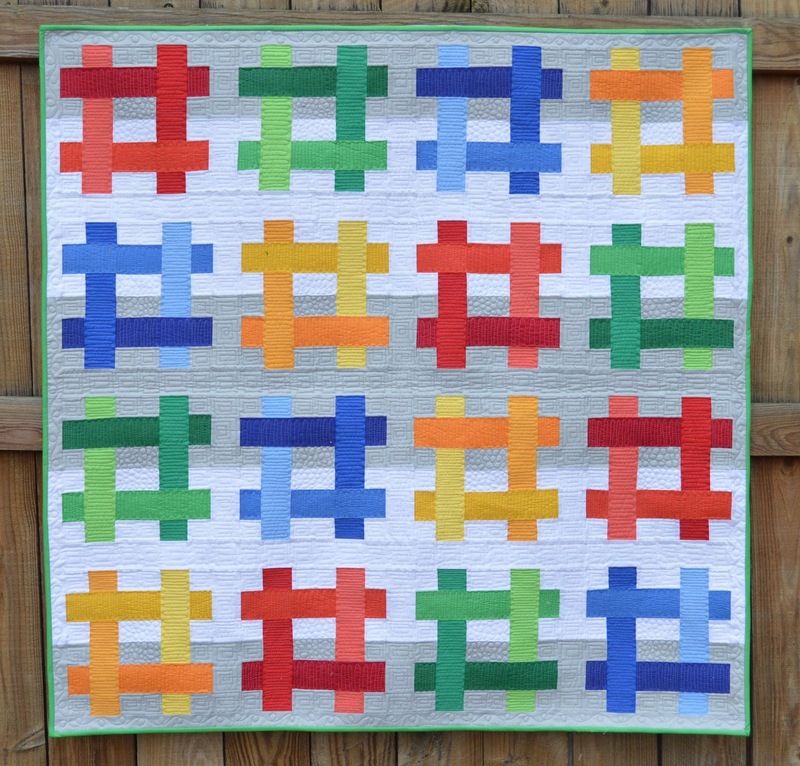 Inspired by Fabric: FREE Hashtag Quilt pattern! 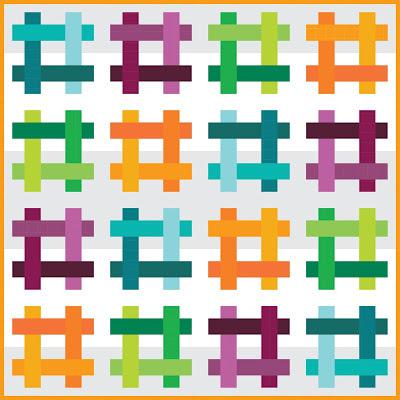 Remember the Hashtag quilt hanging front and center in our booth at QuiltCon? If you've been hoping that we'd share the pattern for it, you're in luck! This pattern uses eighteen colors from our Painter's Palette Solids collection--four shades of each of four colors, and then white and a gray. The quilt measures 48-1/2" square. Find the downloadable pdf pattern here. And just for fun, we've colored it in teals, purples, limes and oranges as well. Download the Hashtag pattern here. 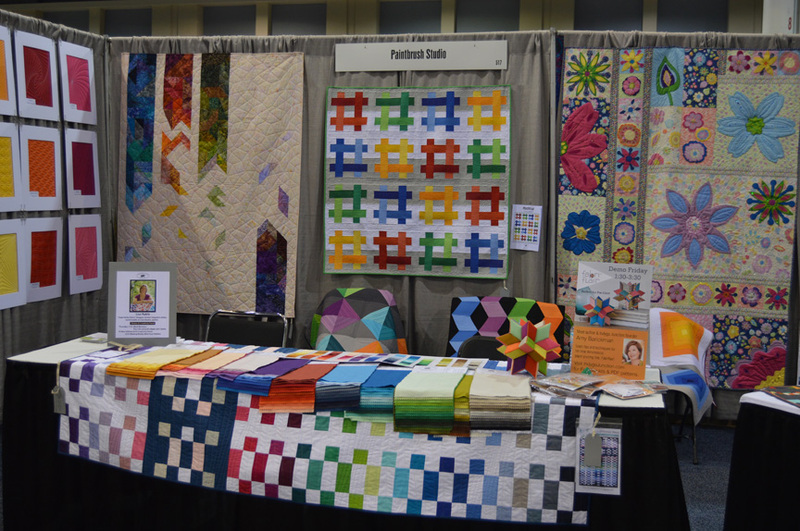 See the entire Painter's Palette Solids collection here and ask for it at your local quilt shop. Find a shop near you that carries our solids here. Read more about the Hashtag design here. Thanks for another great pattern. I think I'll be on the hunt for this wonderful fabric! Thank you. I've been admiring that quilt and wondered how hard it would be. Think this could be done with a solid jelly roll? Mad for Solids: Elite Eight!